We offer several energy efficient solutions to help improve the comfort of your home and to help reduce energy costs. We test and analyze not only your heating and air conditioning system, but your entire home, and are often able to save homeowners up to 45% on their existing utility bills, when our recommendations are implemented. In addition, we partner with several utility companies in our area that assist in the cost of making the energy improvements to your home. Often these rebates are thousands of dollars. Contact us to find out what the current incentives are. A brief explanation of a few of our energy efficient solutions is detailed below. Please contact one of our energy consultants for more detailed information. 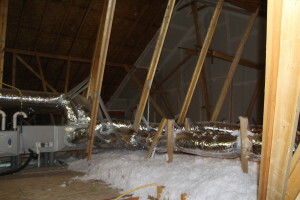 The attic is where you can find some of the largest opportunities to save energy in your home. By adding insulation in your attic, you can maintain the desired temperature throughout your home much better and save on your utility bills. 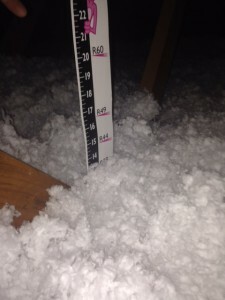 A well insulated home should have 13” to 14” of attic insulation (R-38) in their home. 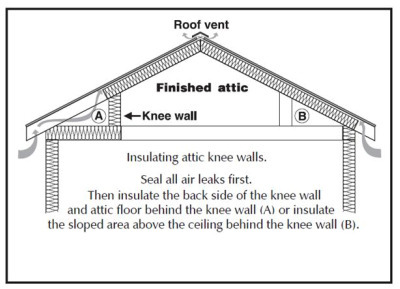 A knee wall can become a major break in your home’s thermal envelope and can contribute to high monthly utility bills. Improperly sealed knee walls allow extremely hot and cold air from the attic to radiate into the homes living space, increasing your utility bills.